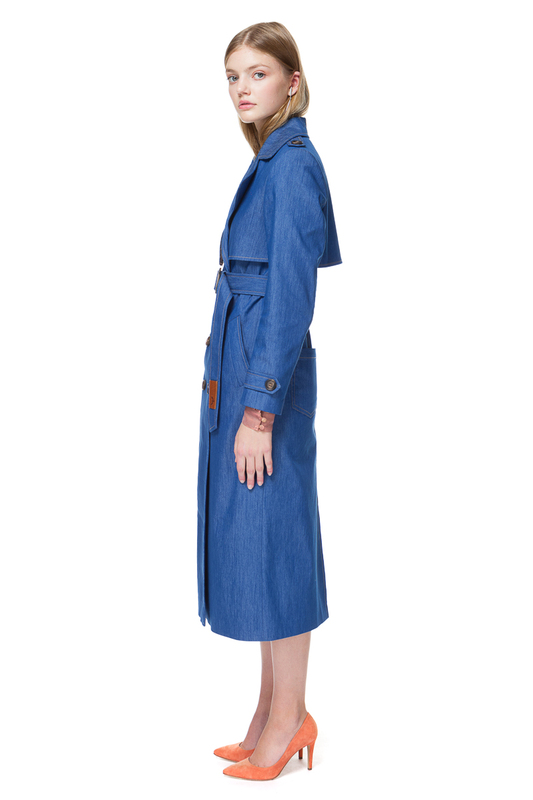 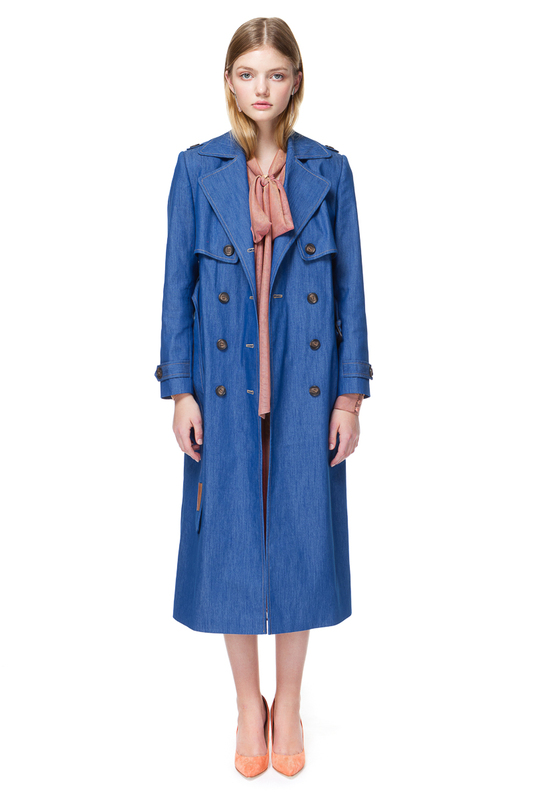 Trench coat in sea-blue denim with pockets at the back. 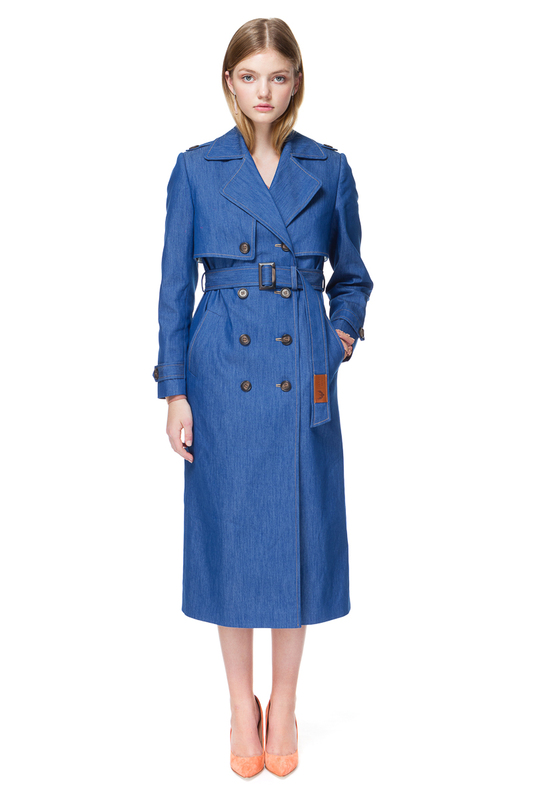 Designed for a slightly oversized fit, it has a neat double-breasted front and a buckled belt to highlight the waistline. 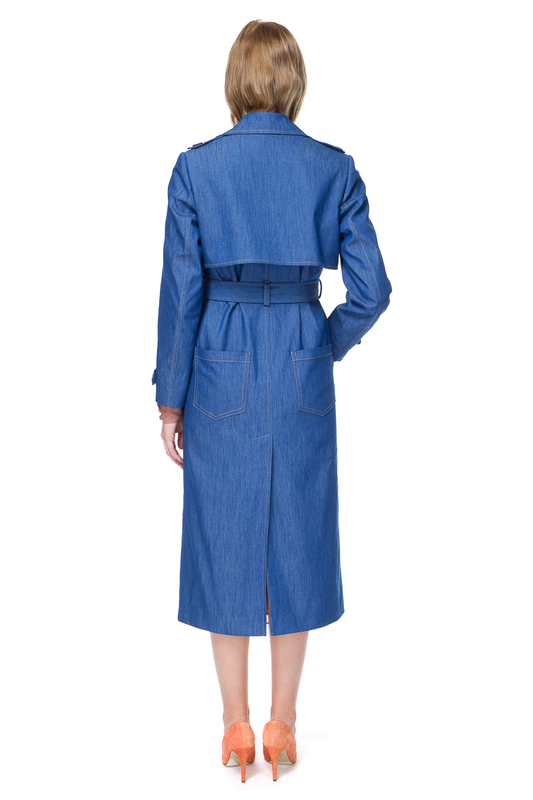 This simple, yet elegant design complements a variety of outfits – from wide leg trousers to billowy dresses.